Todays photos from a recent snowfall. 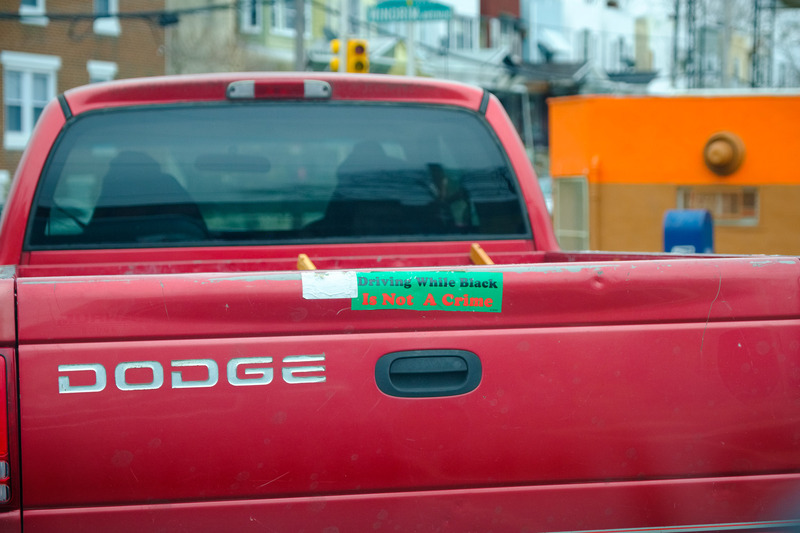 Some photos from Kensington & Sharswood today, click on any for a full size view. Well, that may just have been the longest two weeks of my life. Moving is never fun, but I’m happy to be in the “center of it all” again. 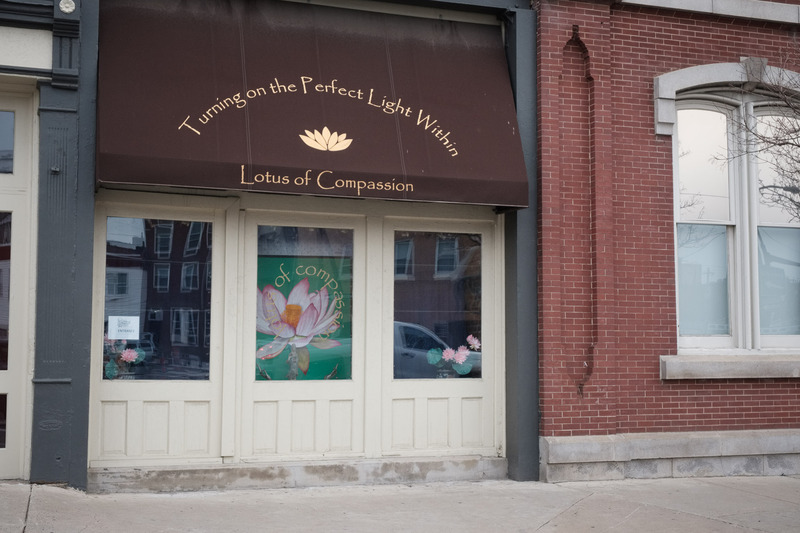 On Monday, July 9th my new studio location in East Kensington officially opens for business. Here I will be offering professional instruction and / or DIY film development and scanning. Whether you’re new to photography or you’ve been at it for years and would like to boost your knowledge, my one-on-one instruction will help you. I promise to make you a better photographer and to teach you how to take professional-quality photos, or learn some new skills. Do you love to shoot film but hate the high cost and delays associated with processing? Do it yourself for a lot less money & hassle. I offer a fully equipped facility, stocked with all the equipment & chemistry necessary to develop your own images. Whether its traditional B&W, C-41 or even E-6 color film, you can now tackle it all. All chemistry is included in our hourly rate – just bring your film, and your time. Unprocessed film is basically like a time capsule that contains precious memories. Get those film canisters developed before you lose all those precious memories, or killer images. Check out www.tonyjuliano.com/ for details and to reserve times. 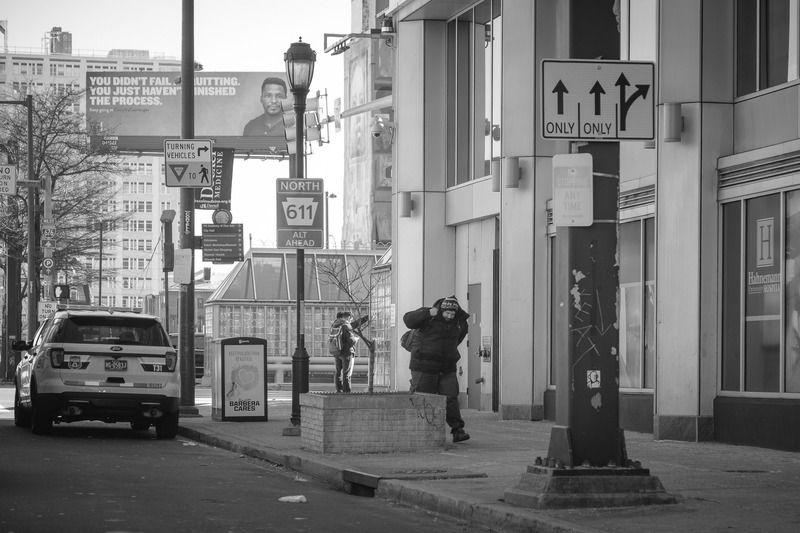 Many business owners hope that gentrification of neighborhoods such as Fishtown and Kensington will spread north into Frankford. 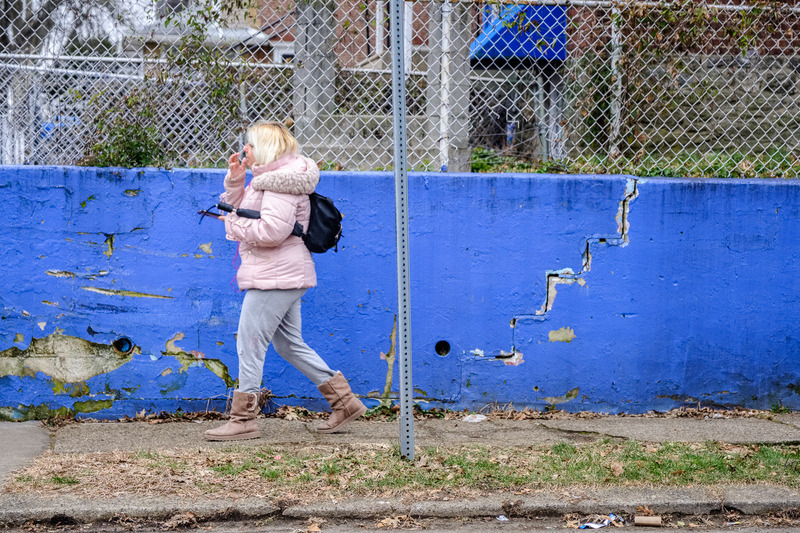 Others worry that previous attempts at improving Frankford have not been as effective as hoped, with most areas of the neighborhood still suffering from street crime and open-air drug sales. Between 1985 and 1990, a serial killer known as the “Frankford Slasher” murdered several women in the neighborhood; although several suspects were taken into custody, the actual killer has never been identified. Stanton is a neighborhood located in North Philadelphia. It is bounded by York Street to the north, 16th Street to the east, Sedgley Avenue to the west, and Cecil B. Moore Avenue to the south. Stanton is 82.5% African American, 9.4% white, 4% Hispanic, and 4% other. Getting ready to make a big move to my new studio in East Kensington, so no a lot of time today. So today summer has officially arrived. This is when things in the city really start to pop. 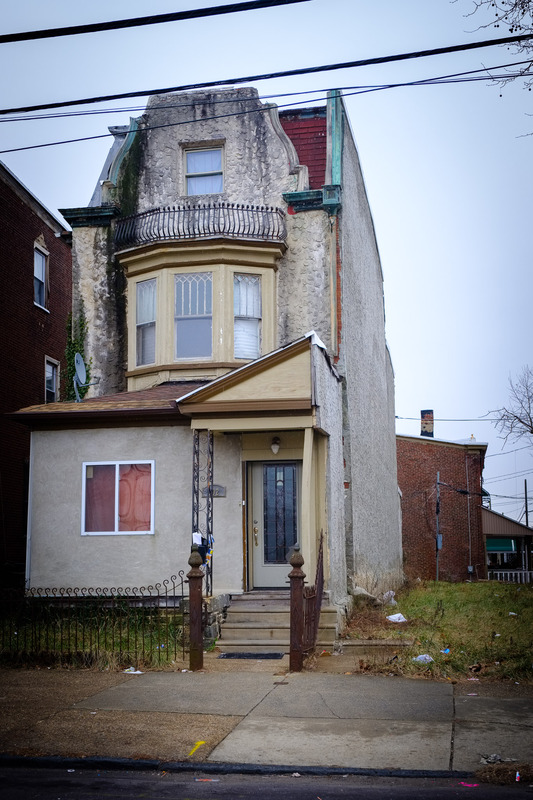 Timing is everything, so I just signed a new lease on a little place in East Kensington – so I can maintain a closer look. Didn’t get a chance to post photos from yesterday, so here is making up for lost time. All images shown were taken with a FujiFilm X100F and processed with Iridient X-Transformer and Adobe Lightroom. Allegheny West is a neighborhood located in North Philadelphia. It is named after an association formed by Pep Boys and Tasty Baking Company, among others. 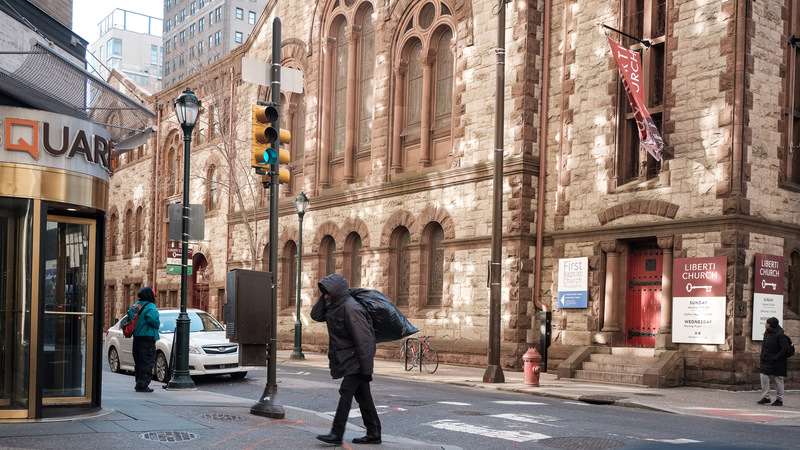 Its location is in the vicinity of Allegheny Avenue on the western side of Broad Street. 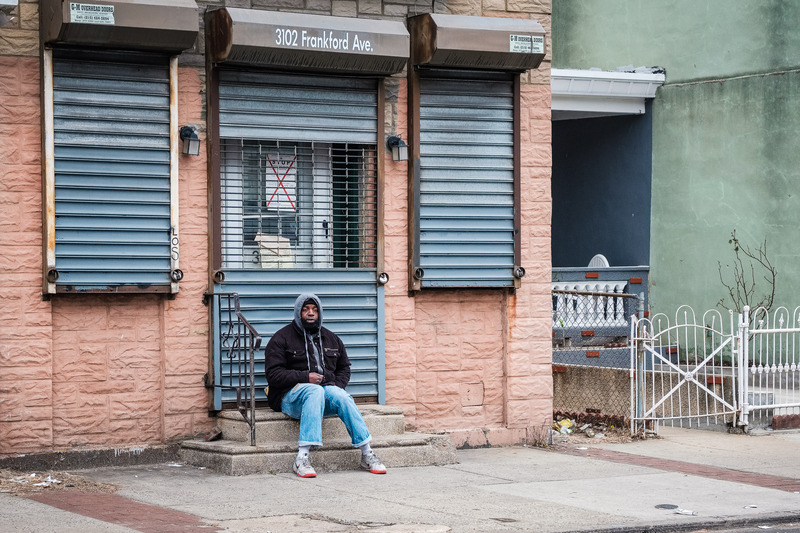 Like many neighborhoods in North Philadelphia, Allegheny West is primarily a poor African-American enclave that has suffered post-industrial decline and disinvestment. 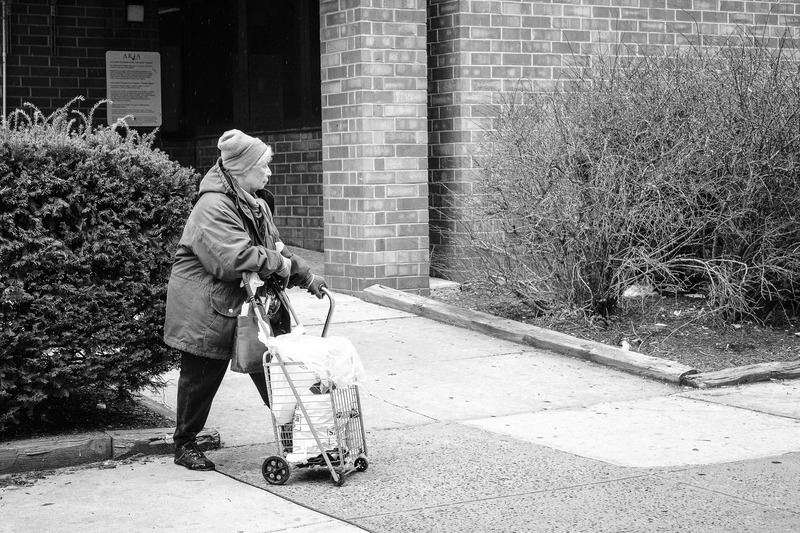 It faced one of the largest population losses of any neighborhood in Philadelphia between the 1990 and 2000 census. Vacant industrial sites, such as those once used to build commuter rail trains by The Budd Company, have in recent years been used in film productions. Fairhill is a neighborhood on the east side of the North Philadelphia section of Philadelphia, Pennsylvania, United States. 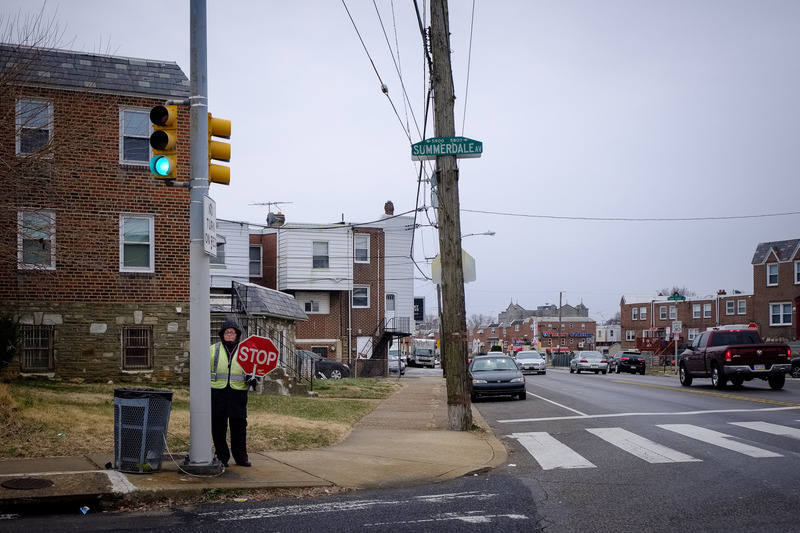 Fairhill is bordered by Front Street to the east, Germantown Avenue (10th Street) to the west, Allegheny Avenue to the north, and Cumberland Street to the south. 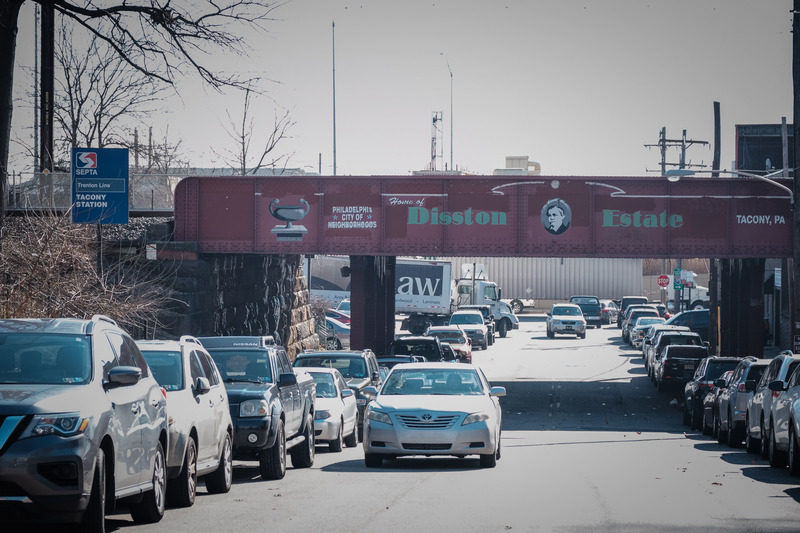 The neighborhood serves as the center of the Hispanic community of Philadelphia, and is known for its “El Centro de Oro” commercial strip along North 5th Street. The neighborhood is also the center of the Philadelphia Badlands. Fairhill is adjacent to Harrowgate and West Kensington to the east, Hartranft to the south, Glenwood to the west, and Hunting Park to the north. The Elkins Estate is located in Elkins Park, Montgomery County, Pennsylvania. The estate contains seven buildings, the most notable being Elstowe Manor and Chelten House, mansions designed by Horace Trumbauer. Elstowe Manor was built in 1898 at the location where “Needles”, the former family summer home of William L. Elkins, had stood. Elkins, a Philadelphia businessman, was integral in the formation of the Pennsylvania Railroad Company and the Philadelphia Rapid Transit Company, the forerunner of SEPTA. This 45-room manor House was built in the style of Italian High Renaissance. The unique interior features, such as the ornate carved wood and gilded molding, marble columns and accents, frescoed ceilings, gargoyles and the like, were crafted in Europe and shipped to the United States, where they were assembled on site. The interior was designed by renowned French interior decor experts Allard et Fils, which accounts for the distinctly French feel in some of the rooms. The home is anchored on either side by a large library and drawing room. Between these are two wings, one containing a breakfast room and dining room and the other a billiard room and den, with a separate wing leading to a large gallery. These wings all lead to a grand staircase in the center of the house. The second floor has nine bedrooms, three dressing rooms, and seven baths. The third floor and raised basement are servant quarters. With the mansion, Trumbauer also designed the wrought-iron gates at the entrance to the estate along with a small gatehouse, a powerhouse, and an eight-car garage. In 1932, William H. Elkins, grandson of William L. Elkins, sold the Elstowe manor property to the Dominican Sisters of St. Catherine de’ Ricci. Chelten House was owned by Philadelphia cigarette manufacturer Stephen X. Stephano. After the death of his wife, Penelope, he sold Chelten House to the Dominican Sisters in 1948. The Dominican Sisters operated both buildings (known as the Dominican Retreat House) as a women’s religious retreat and preserved the grounds and historical integrity of the buildings. Thousands of women and men attended retreats, days of prayer, and other spiritual programs for 75 years. Women would come to pray, meditate and find a place of refuge and reflection. At its peak, as many as 14,000 women and men came to the Dominican Retreat House in one year. The dedication of the sisters to preservation of the historic mansions on the estate was extraordinary and today, in 2013, the original features and architectural details remain intact. It was described as the most significant example of Gilded Age architecture in the region by John Gallery of the Philadelphia Preservation Alliance. Over time, the needs of people coming on retreat changed, and the economic challenges of operating the buildings became unsustainable for the Dominican Sisters. The Dominican Retreat House was at the time of its closing in 2006 the oldest retreat house for women in the United States. In February 2009, the Dominican Sisters sold the 42-acre property to the Land Conservancy of Elkins Park, PA, who intended to use the facility for group spiritual, health and wellness education retreats, and also as a venue for elegant special events. The property was reopened in September 2009 as Elkins Estate and has hosted a number of wedding receptions and events. But the conservancy could not keep up payments to the sisters who held the mortgage. In November 2010, because of numerous missed payments, including a $250,000 payment on the principal, the Dominican congregation foreclosed on the property, and the conservancy filed for Chapter 11 bankruptcy. The property was in bankruptcy reorganization until October 2012, when the case was dismissed. Finally, it felt like summer today. A welcome bit of heat after the long cold winter. Germantown is an area in Northwest Philadelphia. 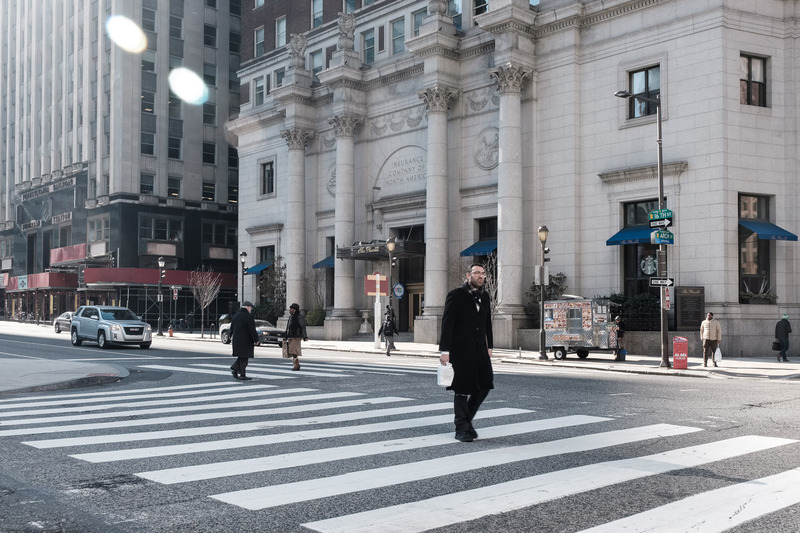 Founded by German Quaker and Mennonite families in 1683 as an independent borough, it was absorbed into Philadelphia in 1854. All images shown were taken with a FujiFilm X-H1 and Fujinon 16-55 f/2.8 lens and processed with Iridient X-Transformer and Adobe Lightroom. Rain means busy for a rideshare driver. Not much time for pics, but this one was worth the trouble. This image was taken with a FujiFilm X-H1 and Fujinon 16-55 f/2.8 lens and processed with Iridient X-Transformer and Adobe Lightroom. Nice lighting out there today, got quite a few “keepers”. Hover over any image in the mosaic below to display the tile and location where captured, click for a closer look and to leave comments. All of these images were taken with a FujiFilm X100F and processed with Iridient X-Transformer and Adobe Lightroom. Its been a while, but I have a good amount of pics to make up for the delay. Hover over any image in the mosaic below to display the tile and location where captured, click for a closer look and to leave comments. 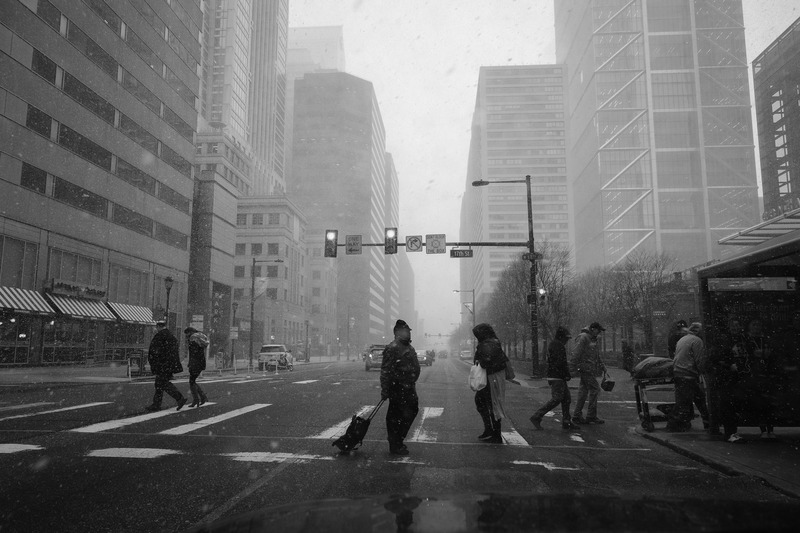 Great day in the greatest of cities – my home and heart reside in Philadelphia. Hover over any image in the mosaic below to display the tile and location where captured, click for a closer look and to leave comments. Temperatures in the high 60’s means lots of people out and about.. Hover over any image in the mosaic below to display the tile and location where captured, click for a closer look and to leave comments. Ahhh… Managed to stay in the city confines for most of the day today. Hover over any image in the mosaic below to display the tile and location where captured, click for a closer look and to leave comments. All of these images were taken with a FujiFilm X-H1 and Fujinon 16-55 f/2.8 lens. They were then processed with Iridient X-Transformer and Adobe Lightroom. Both of these images were taken with a FujiFilm X-H1 and Fujinon 16-55 f/2.8 lens. They were then processed with Iridient X-Transformer and Adobe Lightroom. The location of the MOVE siege and subsequent bombing that burned down two city blocks of row homes. MOVE is a Philadelphia-based black liberation group founded by John Africa (born Vincent Leaphart) in 1972. The group is particularly known for two major conflicts with the Philadelphia Police Department. Living communally in a house in West Philadelphia (Powelton Village initially), members of MOVE all changed their surnames to Africa, shunned modern technology and materialism, and preached support of animal rights, revolution and a return to nature. Their first conflict with law enforcement occurred in 1978, when police tried to evict them from their house. A firefight erupted, killing one police officer and injuring several more on both sides. After surrendering, Delbert Africa was subjected to one of the most horrific examples of police brutality ever witnessed. Encouraged by the eminently racist Mayor of the City (Frank Rizzo), the police and investigators lied their asses off to justify their actions. Nine members of the group were sentenced to 100 years in prison for the officer’s killing – even though evidence clearly pointed to “friendly fire” for this unfortunate action. In 1981, the group moved to a row house on Osage Avenue. 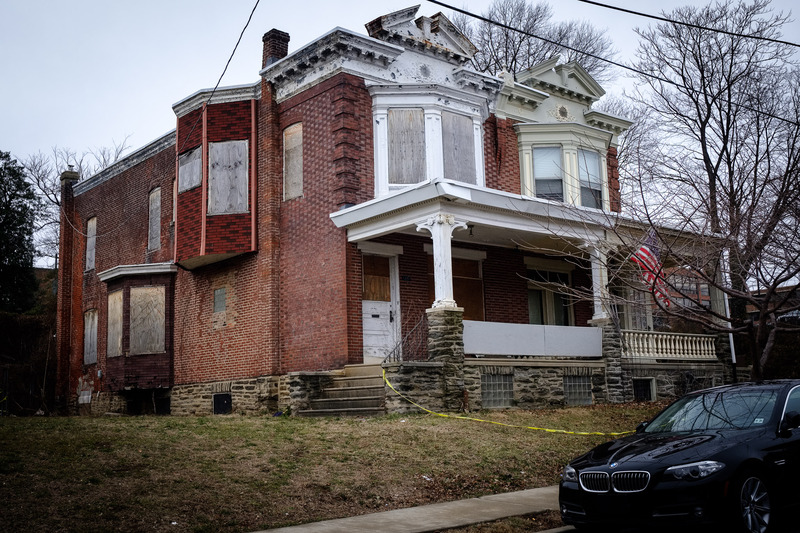 At their new home, MOVE members boarded up the windows and armed themselves in an attempt to protect their family from further police action. Members continued to rack up violations from contempt of court to illegal possession of firearms, to the point where they were considered a terrorist organization by the mayor and police commissioner. On the morning of May 13, 1985, the police moved on the house. Arriving with arrest warrants for four residents of the house, the police ordered them to come out peacefully. Before long, shooting began – who started shooting first is a point of contention. In response, more than 500 police officers discharged over 10,000 rounds of ammunition in 90 minutes. The house was hit with high-pressure firehoses and tear gas, but MOVE did not surrender. Despite pleas for deescalation to the mayor from City Council President Joseph Coleman and State Senator Hardy Williams, Police Commissioner Gregore Sambor gave the order to bomb the house. At 5:28 p.m., a satchel bomb composed of FBI-supplied C4 and Tovex TR2, a dynamite substitute, on a 45-second timer was dropped from a state police helicopter, detonating on the roof of the house. Within minutes, a fire had consumed the roof and begun to spread. Firefighters, already fearful of being shot at, were told to let the fire burn. The blaze raged out of control, spreading down the block of row houses and hopping the narrow streets. By the time it was extinguished four hours later, 61 houses had been razed. Apart from a woman and 13-year-old boy who escaped when the fire started, everyone in the MOVE house was dead. The 11 deaths included MOVE founder John Africa, five adults and five children between the ages of seven and 13. Despite investigations and formal apologies, neither the mayor, nor the police commissioner, nor anyone else from the city was criminally charged. The image above shows this address as it appears now. It was rebuilt (along with two whole adjoining blocks) in the years that followed the incident. Oddly enough, all of these new structures were built very poorly by city-awarded contractors, and were all formally condemned afterwards. The featured image in this post (historic street scene taken at the height of the uprising in 1985) is credited to Peter Morgan of the Associated Press. Beautiful, albeit short, day today for shooting. Spring may finally be upon us. Hover over any image in the mosaic above to display the tile and location where captured, click for a closer look and to leave comments. All of today’s images taken with a FujiFilm X100F, and processes with Iridient X-Transformer & Adobe Lightroom Classic. 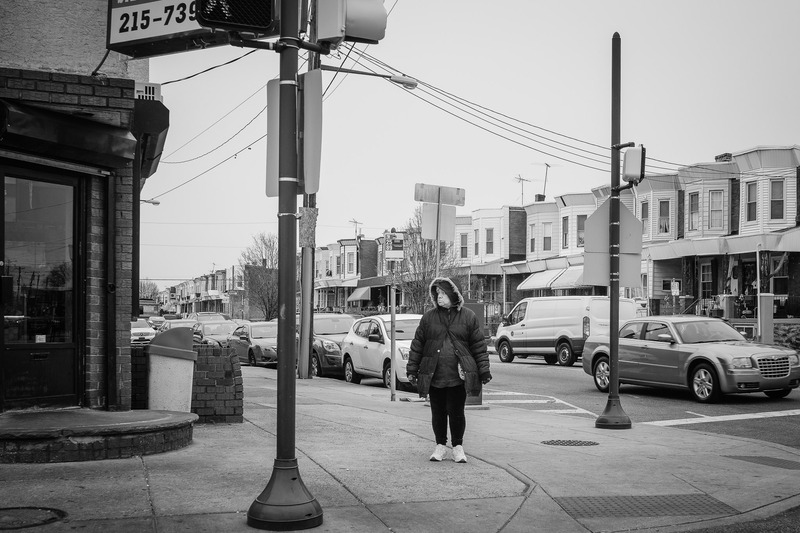 We have a couple of “bonus” images for today, taken in two distinctly different neighborhoods. “Peeling” – Long neglected storefront on 10th Street. Ogontz gets its name from Ogontz Avenue, a thoroughfare which runs diagonally through the uniform grid of streets in the city. 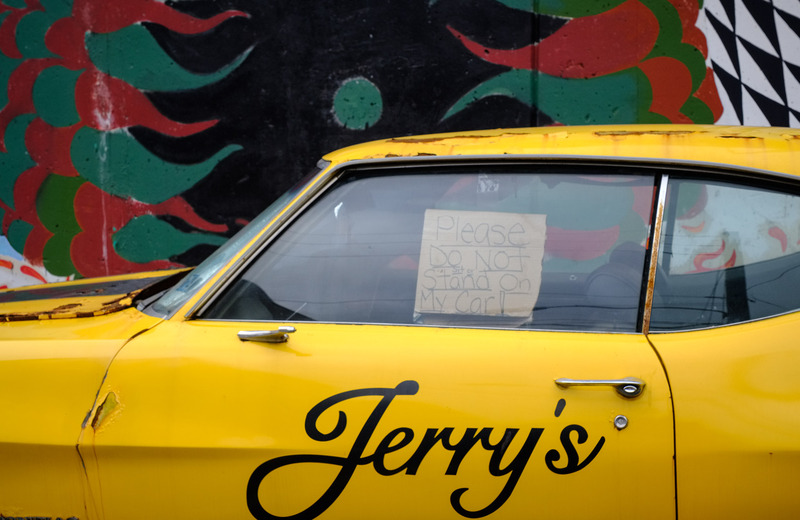 Many of the commercial and residential properties on Ogontz Ave. began to decline in the early 1970s. 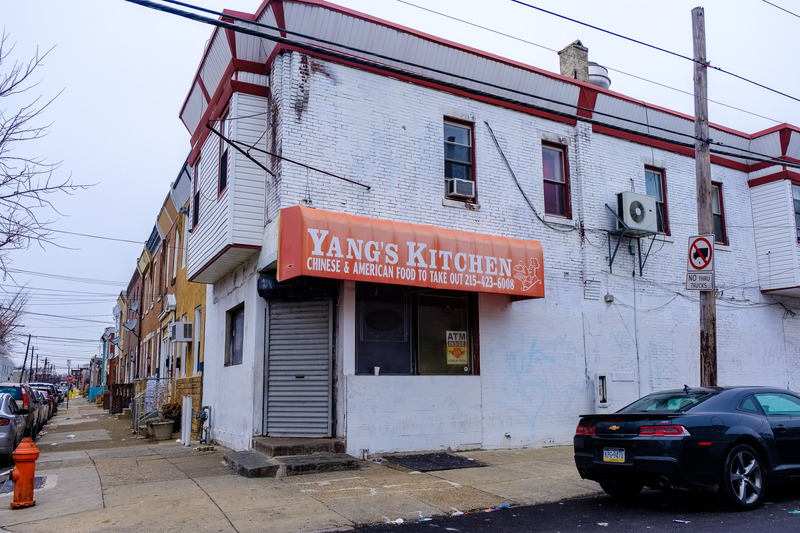 This North Philadelphia neighborhood has been marginalized throughout the years with many of the businesses closing and residents leaving. Ogontz is often considered part of West Oak Lane, which is a much larger neighborhood and lot of what happens there carries over. Ogontz is a predominantly middle-class African American community. 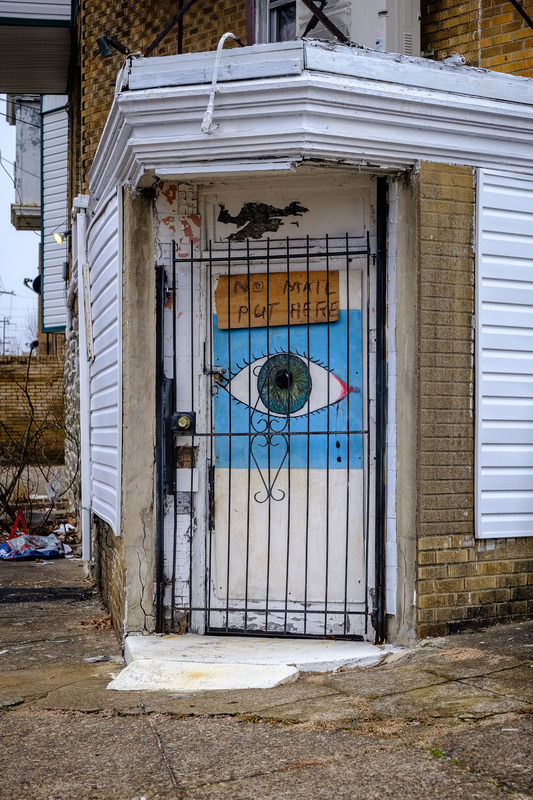 While some of the houses are the typical row homes found throughout Philadelphia, Ogontz has some architecture that is distinct to its neighborhood. Many of the houses are detached on tree lined streets with small yards. This set-up gives it a very suburban feel and makes it appealing to families with children. The neighborhood used to have several historic sites such as the tavern, Cedar Park Inn and The Ogontz theatre. Both of these locations were eventually closed down and demolished. “Once Grand” – Typical of many of the large but now decaying estate type homes in the area. 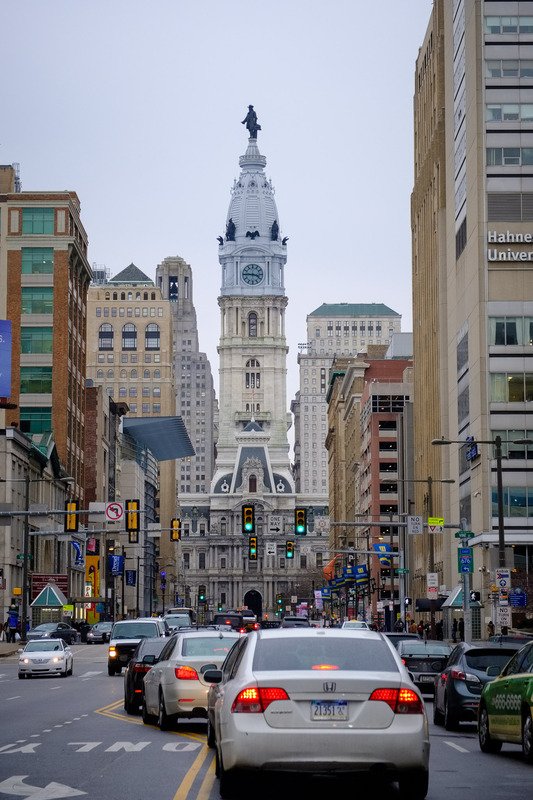 This area of Philadelphia was first settled in 1683 as one of William Penn’s first neighborhoods. In 1695, a Welshman named Griffith Miles bought 250 acres of land here and built a log home along a dirt road that would later be known as Oak Lane. The area became known as Milestown in 1711, and as farming began to flourish, water-powered mills were built. The road that came to define the neighborhood, initially called Martin’s Mill Road, was renamed Oak Lane by a landowner in 1860, in remembrance of an ancient oak tree that had blown down in a storm. Once exclusive to the wealthy, who built a great many estate homes on it’s tree-lined streets, it is now an area where people of decidedly more modest means call home. Both of these images were taken with a FujiFilm X100F and processed with Iridient X-Transformer and Adobe Lightroom. Olney is an interesting neighborhood in Philadelphia. It is roughly bounded by Roosevelt Boulevard to the south, Tacony Creek to the east, Godfrey Avenue to the north, and the railroad right-of-way west of Seventh Street to the west. Although Olney is primarily a quiet residential neighborhood, portions do serve as major commercial centers for many surrounding groups. 5th Street has a Korean-American business district in the vicinity of Olney Avenue, and Hispanic businesses flourish in the southern reaches of the neighborhood. One of the many businesses that flourish along 5th Street. 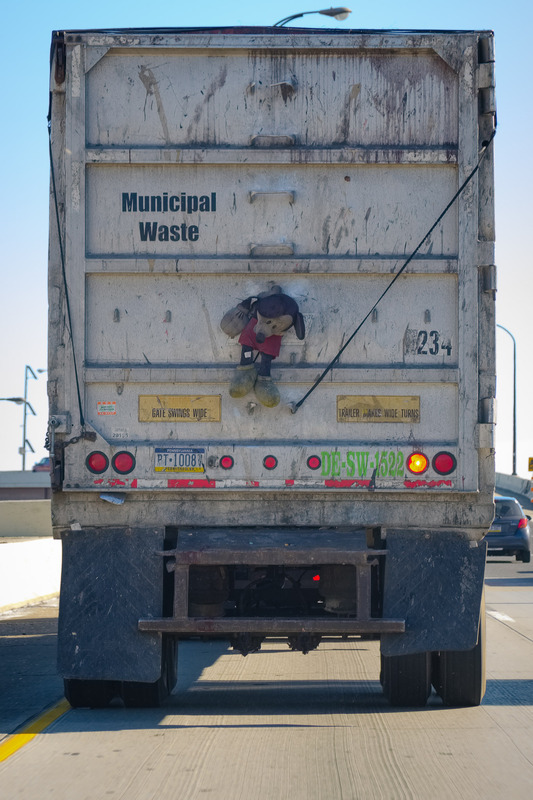 I had been trying to get this shot for days, but the traffic behind me never would cooperate – until today. Up until the late nineteenth century, Olney was a vast, hilly farmland in the hinterland of Philadelphia County. Until then, the population consisted mainly of farmers and wealthy Philadelphians who could afford to live away from the city. As the city of Philadelphia grew northwards, the area became more urbanized. People seeking to escape the growing population density towards the center moved to Olney. Soon thereafter, businesses began appearing, largely centered at 5th Street and Olney Avenue. Industry was also attracted and companies such as Heintz Manufacturing Company, Proctor and Schwartz, and Brown Instrument Division built factories in the neighborhood. But this took second place to the strong commercial district, led by the Olney Businessmans’ Association. The population grew even more after the construction of the Broad Street Subway which had its original terminal at Olney Avenue (Olney Transportation Center). It promised to get riders from Olney to City Hall in less than twenty minutes for fifteen cents. In addition to trolley lines that traveled east and west, this made Olney Philadelphia’s northern transportation hub and gave Olneyites easy access to the entire city and beyond. All of today’s images taken with a FujiFilm X100F and processed with Iridient X-Transformer and Adobe Lightroom. Covered a decent amount of ground today. Managed to visit more than a few neighborhoods in this fair city.